«True healthcare reform» illustrated quotation. Health and nutrition, free quote pictures for Facebook, Twitter, LinkedIn, Reddit, Pinterest and other social networks. 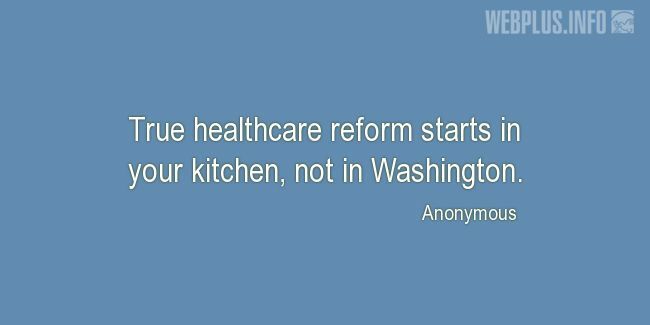 True healthcare reform starts in your kitchen, not in Washington.